Last December, as part of the Advent Activities that I co-hosted with Mama Sue, I did a simple review on the book Flowers for the Snowman. This year, both of us were busy with our work and family commitments that we have decided to skip the Advent Activities. 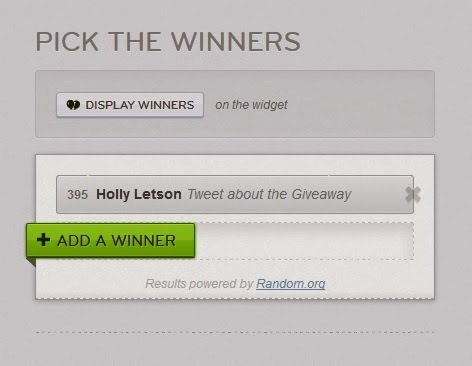 I really wanted to do something this December so I signed up for the Kid Lit Giveaway Hop Holiday Extravaganza where we are required to share a fabulous winter-themed or holiday-themed book (Christmas, Hanukkah, Kwanzaa, etc) book and run a giveaway with that book as the prize. I was very excited about this blog hop since this is the first time I am taking part in it, I have already googled and shortlisted a few great books that I wanted to get my hands on to review in early November. However every thing came to a stand still for more then 2 weeks due to some family issues. In the end there wasn't time for me to order the books and get them delivered to me on time for the blog hop. I went to a few bookstores and couldn't find any Christmas themed books that I find suitable for Parent-Child read aloud sessions. I was about to give up but decided to try my luck in a particular bookstore, it only have ONE Christmas themed book and when I saw it I immediately know that it is the perfect book. I have planned to give our copy to one lucky winner in the giveaway after reading it with DinoBoy but he fell in love with the book and was sad when he knows that I am going to give that book away. Therefore I decided to get another copy from Book Depository and send it direct to the winner in any part of the world after the giveaway has ended. Summary (from Walker Books): A touching Christmas story full of friendship, freedom and camels! 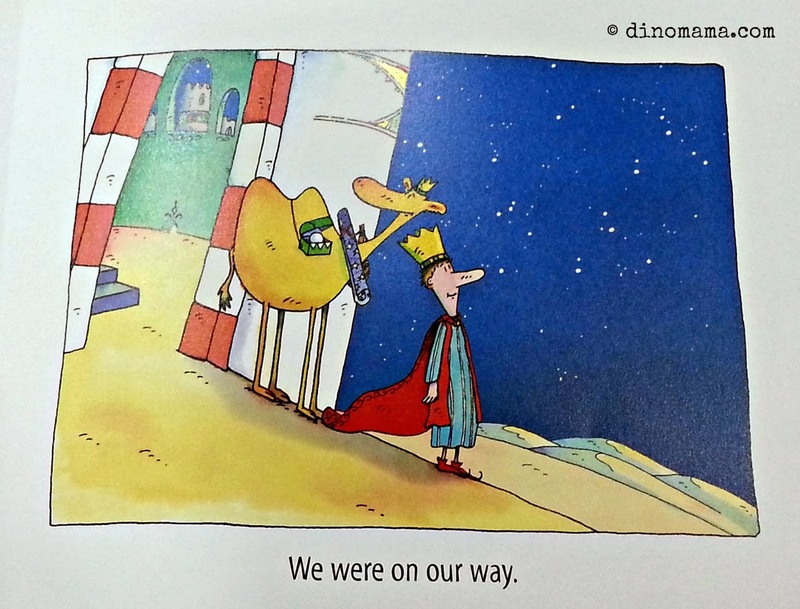 Once upon a time, three kings came out of a distant land and followed a star to a little-known town across the desert. They brought with them gold, frankincense and myrrh and presents for a newborn child. But there was another king who set out on the long and difficult journey – the fourth king. Unlike the others he arrived too late and empty-handed... This heartwarming fable will remind readers of the true meaning of Christmas. The title caught my eye first, when I opened the book I fell in love with the illustrations. I have a soft spot for such drawings that gives me a sense of a little bit of childish playfulness and never fails to makes me smile whenever I look at them. I am not a Christian but I know the story of the birth of Jesus and the Three Kings, the idea of a Fourth King sounds intriguingly and I wanted to know all about it. I was not disappointed. Besides its really beautiful and expressive illustrations, the story is full of twists that teaches compassion at the same time. It also shows that one will be rewarded with happiness and contentment if they continue to do good deeds. 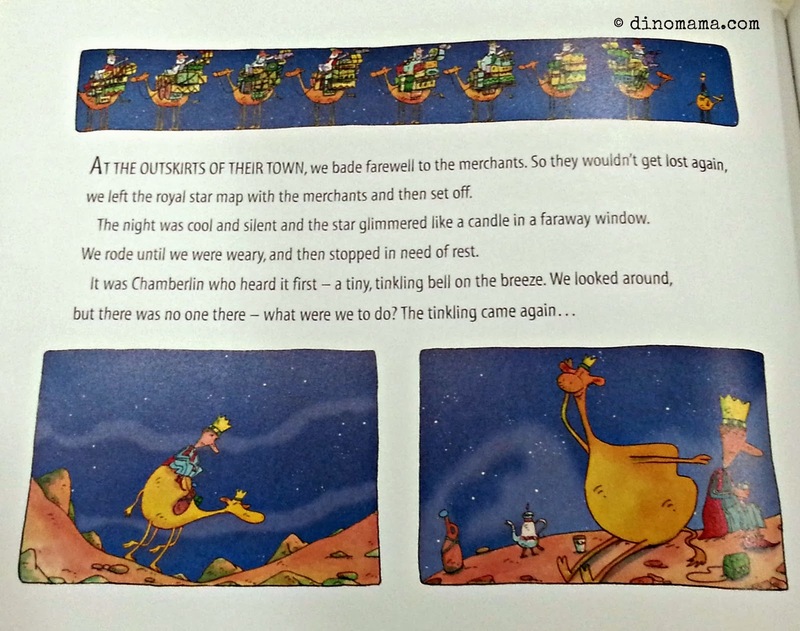 This is the first time DinoBoy hear about "God", "Jesus", "The Three Kings", "King of Kings" and it arouses his curiosity to wanting to know more because all along he thought Christmas was about Santa Clause and Reindeer, of beautiful Christmas trees and receiving presents. I read the book to him the first time and for the next 3 nights he picked the book up again to read it by himself. He finds the words and illustrations funny and amusing, that's why he was a little bit reluctant to part with the book. I'm glad I found this book; the only Christmas themed book on the shelf, I think I was destined to get this book to share it with DinoBoy and pass it along to some lucky reader because it is a more wonderful book then those that I have shortlisted. This book is entertaining with beautiful brightly colored illustrations, it is definitely a perfect Read Aloud book where both adult and kids of all ages will enjoy. 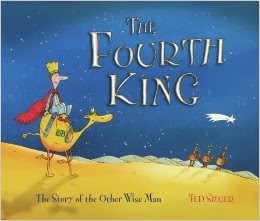 We will be reading some books about the true Christmas meaning and the birth of the King of Kings. 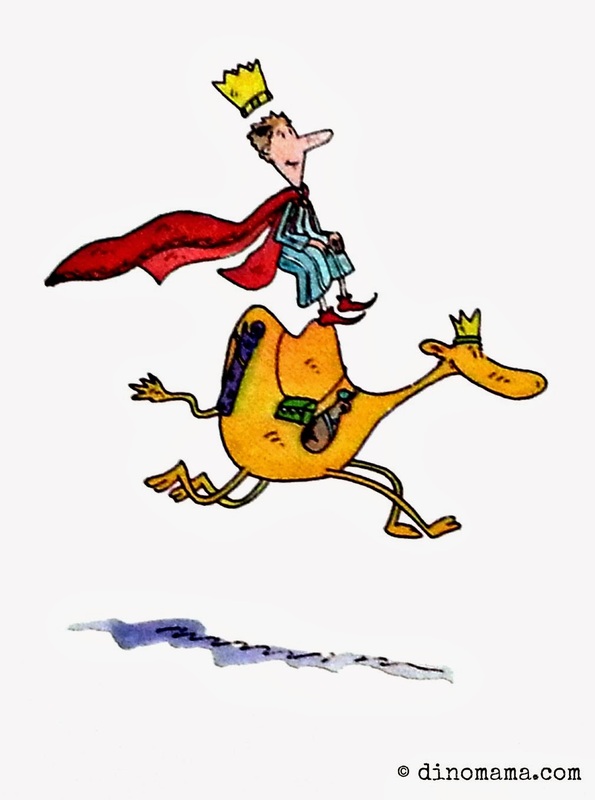 The story introduces the Fourth King, King Mazzel, "ruler of a very small kingdom. So small that I was its king and its people!" and his faithful camel Chamberlin. With the royal star map and the royal star crystal on hand, King Mazzel and Chamberlin sets off to join the Three Kings to meet the King of Kings. However, his journey to the meeting point at the edge of the great desert was not a smooth one. He was caught in a sandstorm and instead of heading off to the meeting point, he stopped to help a nomad girl who got lost in sandstorm which caused him to be ultra late and the Three Kings sets off without him. After that, whenever he is about to catch up with the Three Kings, he will be caught in situations where he has to lend a helping hand. In the end he arrived at the stable late, without his gifts and missed the newborn King... or did he? 1. Prize: a copy of The Fourth King, mailed directly from Book Depository. 2. Participate in the giveaway through the Rafflecopter widget below. 3. Giveaway will run from 06 December 2013 till 13 December 2013 @ 2359hrs and winners will be announced in our blog and facebook page. Remember to visit the other 51 blogs listed at the end of this post to read about other bloggers' wonderful recommendations of Christmas themed books, enter their giveaway if they are open to World Wide participants. Have fun reading!